That is the compelling question for those of us who follow Homeland with the passion we showed for The Sopranos. We saw him hanging from a crane in a city of the bad guys. I hope he is not, but only the future will tell. It's kinda like moving into a new year. Good or bad, only the future will tell. If the past is anything to judge it by, this will be a bad year. It always, and I mean always is. We start out at January 1st toasting, hugging and kissing each other, welcoming in a new year like it's going to make a difference. At the end of any new year, we do it all over again because the new year will weigh in as a bad year, no matter what we say, do or wish on New Year's Day. No matter what resolutions we throw out there, it's kinda always the same. The Red Sox did all they could do to make it right. We didn’t see that coming, did we? But we didn’t see bombings on Boylston Street coming and we didn’t see one of the Patriots' best players spending the season in jail for murder either. Nope. Never saw that coming! I'll give one other stupid statement to ponder. It's always a mistake to look into the future, near or far, because we never see it coming anyway. But, take this to the bank, The Patriots are going to the ill advised, almost stupid for playing it in New Jersey in the winter, Super Bowl. I'll repeat it and add to it. The Patriots are going to the Jersey Super Bowl, and they are going to win it. That’s all I'll say on the matter, except this: Alfonzo Dennard will intercept two passes and run them back for touchdowns, be named the super bowl MVP, and will be asked by the Disney marketing crew, “Alfonzo Dennard, you were just named the MVP of the Super Bowl, where are you going next?” (pause) “I'm going to jail! Disney World will have to wait." What do the Red Sox do for an encore? The Bruins? Anybody? Already we are trying to identify the replacement candidates for Belichick. Josh McDaniels? Bill O'Brien? 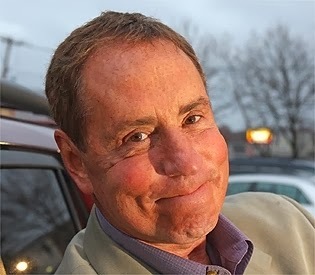 Jonathan Kraft? Already Gronk is out of sight, out of mind. Will he ever play a full season? Most people think that is not going to happen. I'm in that camp. What does the future hold for Red Sox ownership? If the team is on the verge of a huge accusation like Tanaka, does John Henry, as owner of the Globe, have an obligation to his readers/buyers like me to put it in the paper, or does ownership of the team trump ownership of the paper? Or does the paper become part of the acquisition strategy of secrecy, so other teams won't swoop in and spoil the fun? I cannot answer that dilemma, but I'm certain there is a plan for just that scenario. The Marathon is just about three-and-a-half months away and there is a marathon museum being built in Hopkinton. Will every Boston TV station try to cover it again from start to finish like they used to? It was the biggest news story of last year, and for totally different and celebratory reasons, could be again this year. 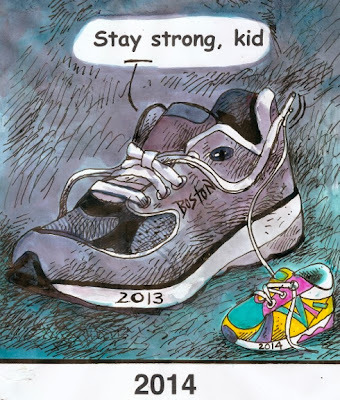 2013 was the year that gave birth to “Boston Strong." For anyone that thinks it's just a slogan, think again. Those are two words that define a culture, a culture that was unmasked by 2013. So guess what? Based on that fact alone, 2013, for all its imperfections, wasn’t such a bad year after all.